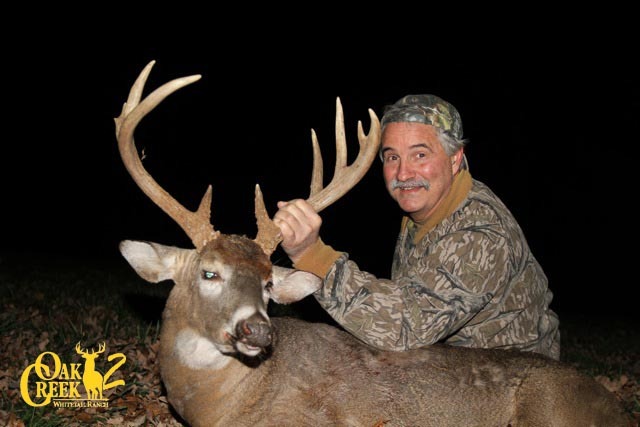 The World’s Premier Fair Chase Whitetail Hunting Preserve! Be a part of the tradition! Oak Creek Whitetail Ranch exists to provide you the ultimate fair chase trophy whitetail hunting experience in a preserve setting. We seek nothing less than to serve you with the highest quality in personalized service and attention to detail. You may arrive at Oak Creek as a stranger but you will depart as family. We share all that is Oak Creek with you, with the goal that you will make your return, an annual tradition. At Oak Creek Whitetail Ranch you will pursue some of the largest Trophy Whitetail Bucks in the world, with some of the friendliest people you will ever meet! 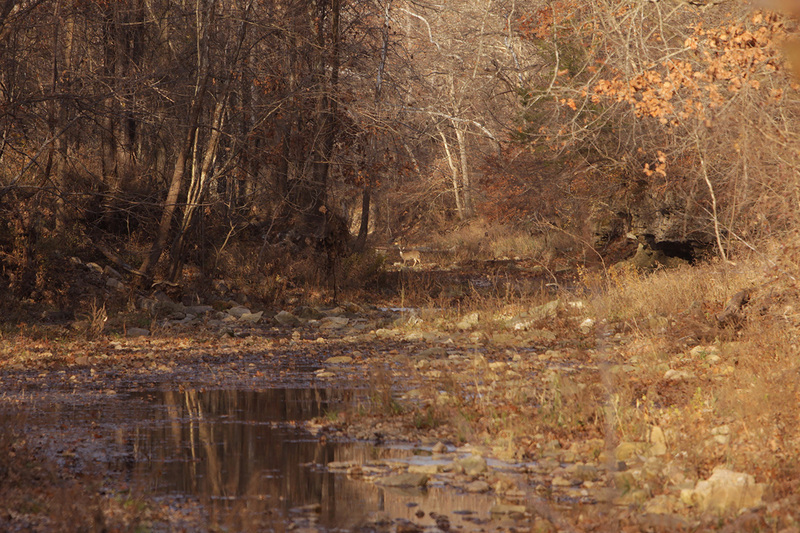 We know there are many places to choose from for your next hunting experience. So, why should you choose Oak Creek Whitetail Ranch? After making your way across the rolling hills of central Missouri, you arrive at our gate filled with anticipation. You are warmly welcomed into our beautiful lodge featuring some of the most incredible trophy deer mounts you have ever seen. You can expect family-style meals and friendly social gatherings throughout your stay. The lodge may accommodate groups or corporate functions for up to 20 people. We will constantly inquire about any needs you may have, doing our utmost to accommodate all requests. 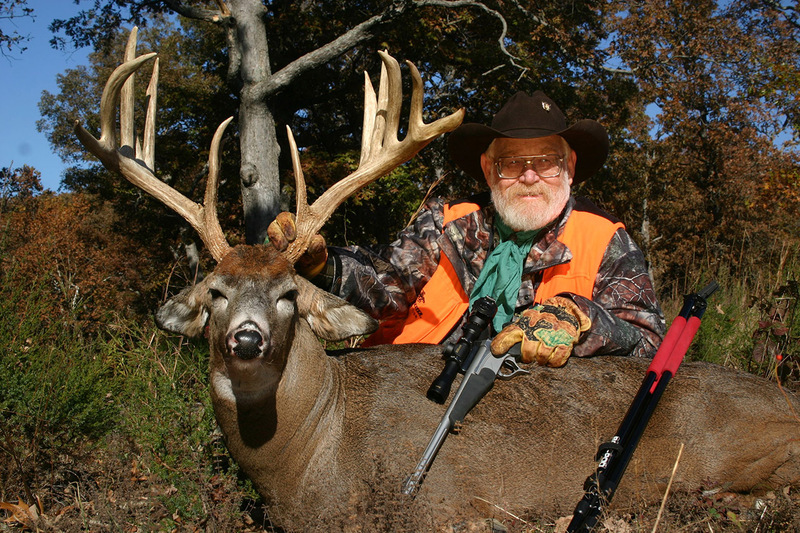 The team at Oak Creek Whitetail Ranch works to exceed your expectations. How? By providing outstanding trophy animals, an authentic and challenging fair chase hunt experience, world-class accommodations and a commitment to hospitality, customer service and satisfaction. We continually strive to find new ways to serve you. Upon arrival, you are greeted by the Hill family and the team at Oak Creek Whitetail Ranch. Donald, Angi and the rest of the Hill family represent 5 generations of conservation and hunting tradition. The team at Oak Creek includes experienced, friendly guides and staff devoted to making your stay a memorable one. The Hill’s have made Oak Creek and serving you, their life’s work. Donald Hill strongly believes in the combined power of genetics, habitat and conservation. Superior Northern Whitetail genetics, boosted by native acorns and natural supplemental nutritional sources such as clover, corn, wheat, alfalfa and the famous “Hill magic beans”, continue to produce some of the world’s largest trophy whitetail deer every year. These factors combined with a strict conservation management program produce deer that could put you in the record books on your very next hunt at Oak Creek Whitetail Ranch. 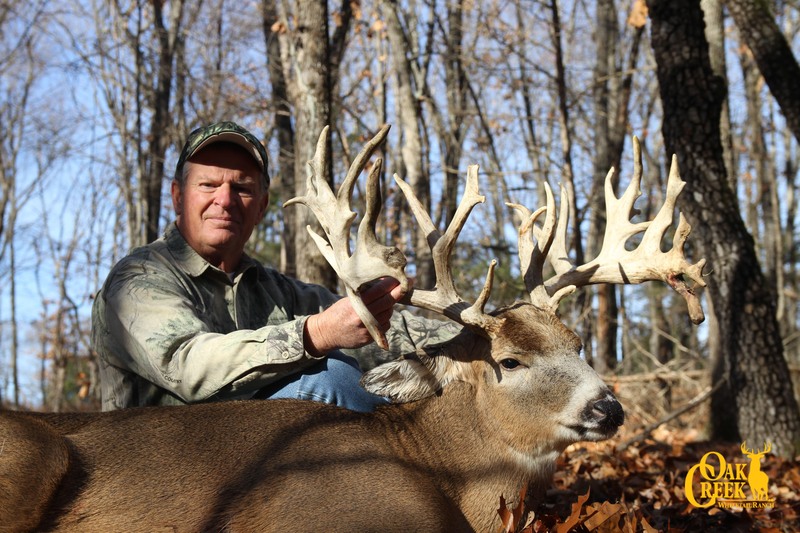 Oak Creek Whitetail Ranch Shatters More SCI Records! 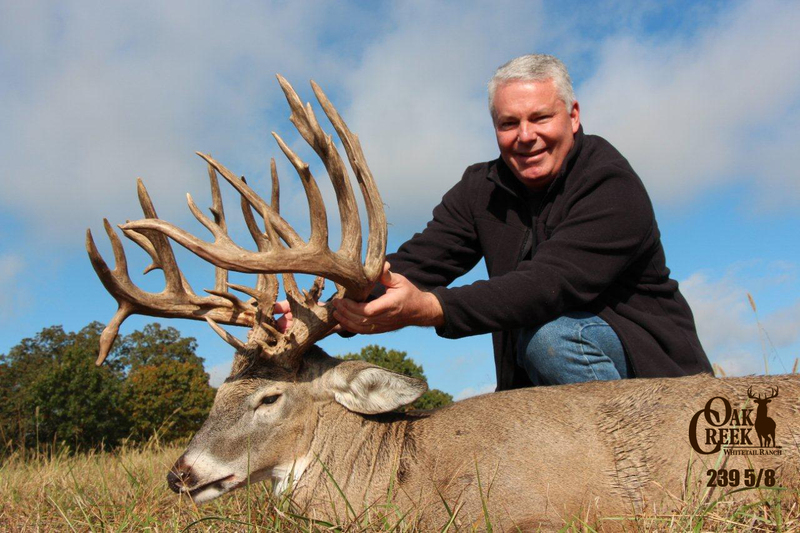 Oak Creek Whitetail Ranch continues to produce most of the SCI* top 35 Record Book Trophy Whitetail Deer! 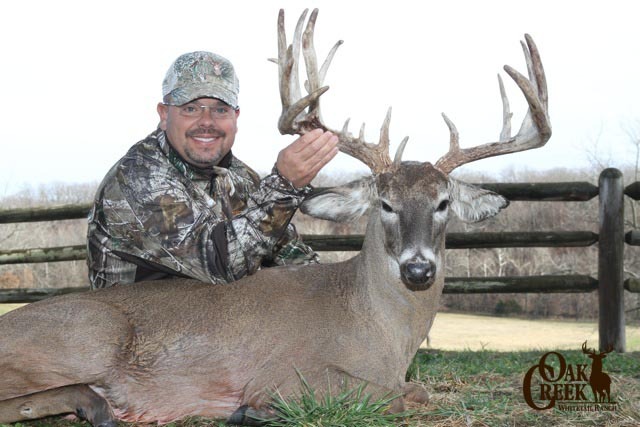 Oak Creek now holds the records for 33 of the top 35 Typical and 30 of the top 35 non-typical Midwestern whitetail deer! Oak Creek has 32 entries in the record book this past year alone, all in the top 40 of either Midwestern Typical or Non-Typical categories. View the SCI Midwestern Online Typical & Non-Typical Record Book.